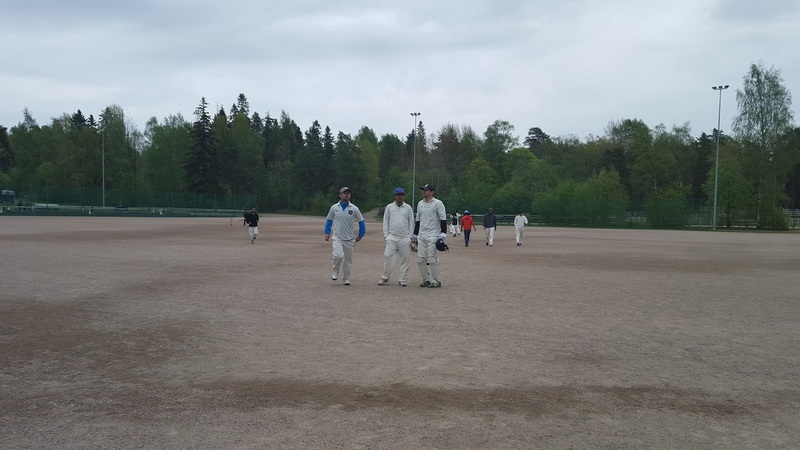 Home » FCA LEAGUE , FCA-Div3 , FINLAND CRICKET , Slider » 10 Men Everest8848 Hurduled Stadin Krikettikerho in FCA DIV 3. SKK beat E8848 by 2 wickets in a Nail-Bitting Thriller. 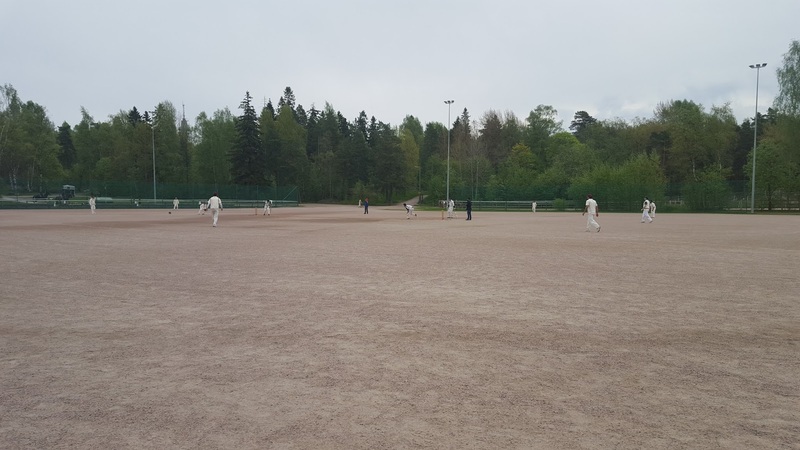 14th May, Saturday however was not a cricketing weather day in Finland; Rain interrupted the play several times throughout the day. Despite pins of rain all over, E8848 and SKK continued to play their maiden FCA League this year. Everest8848 won the toss and elected to bat in the breezy pitch. E8848 started briskly, the weather and the game both were favoring E8848 until their captain Basnet got run out in 23.1 overs. Basnet score 40 from 56 balls including 6 boundaries. The last 6 wickets contributed a mere 29 runs. 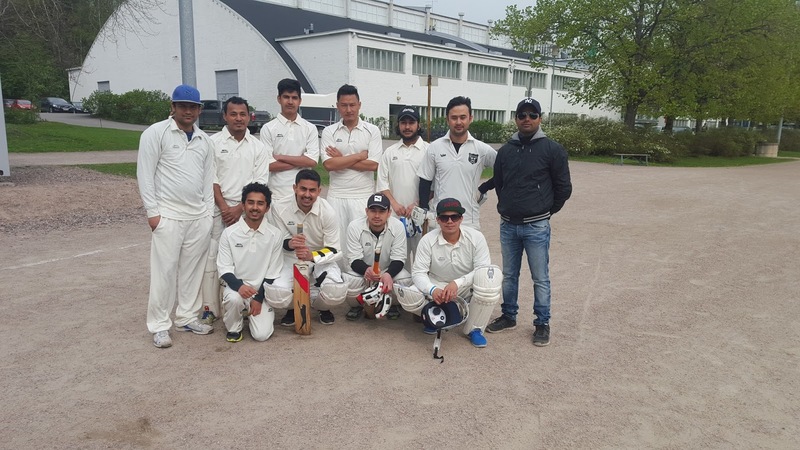 Gyawali scored 23 whilst Sushil and Krishna both scored 17 each to set a total of 161/9 in 29.1 overs. Everest8848 played with 10 players only. As most of the players from E8848 didn’t get the VALO license before the mentioned date, they were boycotted from the game. The second innings was reduced to 27 overs with a D/L target of 155 in 27 overs. Skk started horribly. The debutant Utsabh Kharel celebrates his maiden FCA wicket in the very second ball of his second over. Rohit and Utsabh scattered SKK’s batsmen. Utsabh finished his 6 overs spell giving 30 runs taking 3 wickets. Vishal Saraf snatched the game away from E8848. Vishal guided SKK from 30/3 to 155/8, scoring 59 runs from 49 balls including 9 boundaries and a six. Prajwal a no 9 batsmen from SKK on the other hand played brilliantly scoring 21 runs in just 21 balls with 4 boundaries. Arun Gyawli, Arun Thing, Sagar Bhandari and Utsabh Kharel were new recruits for Everest8848 for the year 2016. 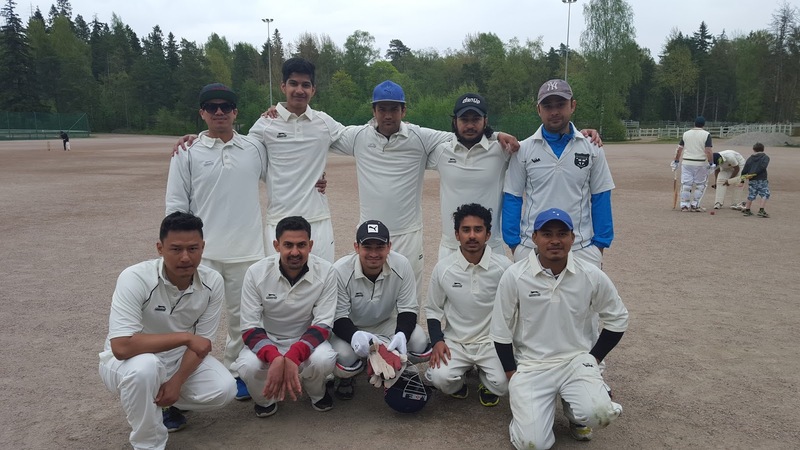 Everet8848 will play against HelsinkiCC on May 29 th Sunday.